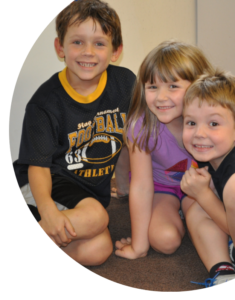 The Hudson Country Montessori Summer Day Camp has been offering a fun and safe summer camp for over 23 years. 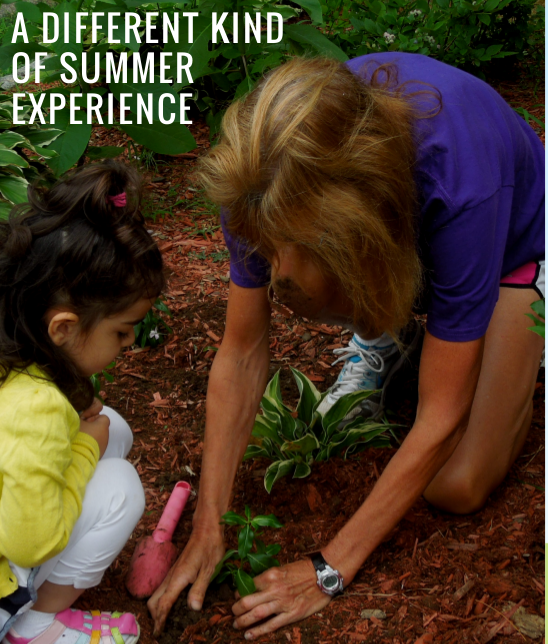 Our unique summer program is developed in an environment geared for learning. 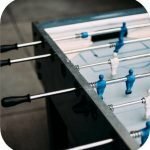 It is spirited and skill-oriented but non- competitive and social. Our spacious outdoor and indoor facilities are great for physical, emotional and intellectual growth in a secure loving environment. The quality and success of our summer program is defined by our amazing team of experienced counselors, most of whom are professional educators who work in our school year program. We know our campers enjoy the best that summer has to offer. At Hudson, they learn new skills, explore new adventures and make friends while having fun. 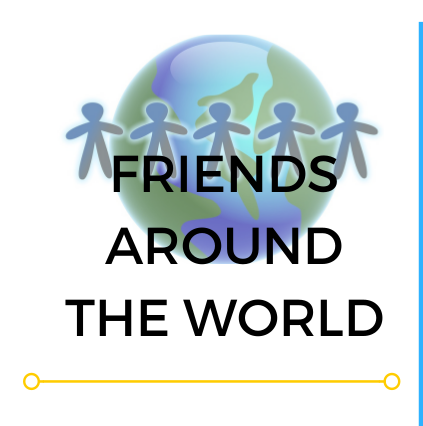 This year we have an exciting summer planned with out theme, The World Around Me. Through our nine-week program, campers will have the opportunity to learn about themselves and the natural world around them while having fun and making new friends. Come join us for an unforgettable summer. This year we have new exciting things to share with our campers. We have an amazing summer camp experience for all. New themes weekly will immerse kids in the world around them. – A Junior/Senior Club House. 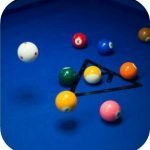 – An indoor Game Room with a Foosball Table, Air Hockey and Pool Table exclusive for them. 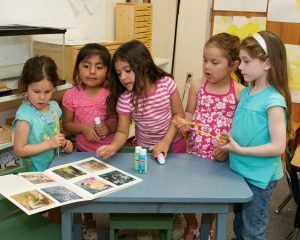 Our toddler summer program follows the same schedule as the school year Montessori program. Our young campers have the opportunity to experience water play and additional time outdoors while maintaining their daily routines, which are important to their development. We have rolling admissions for our toddler program. 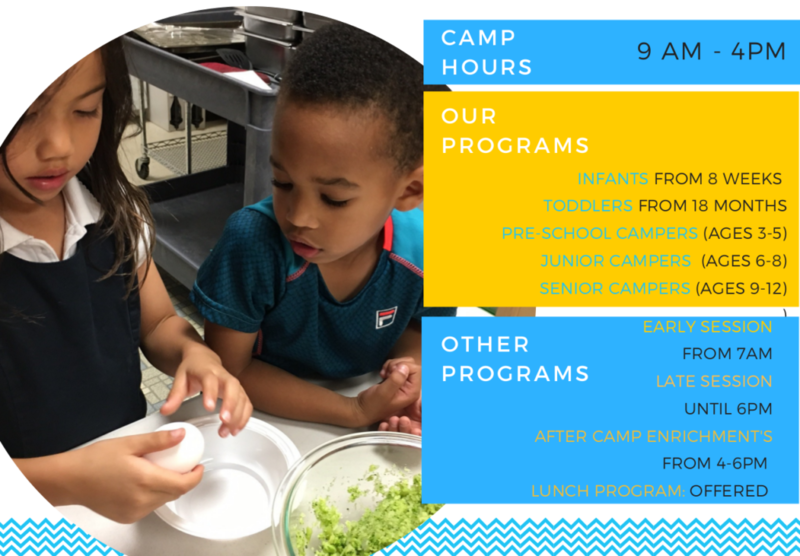 Our pre-school campers enjoy working on Montessori lessons, kindergartners have swimming lessons and pool time, sports, hands-on science, music and movement, cooking, arts and crafts weekly. 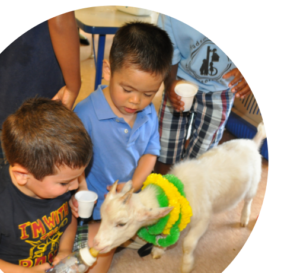 Our on-site ‘field-trips’ include petting zoos, museum programs, music concerts, sports instruction and more. Our junior campers enjoy swim instruction, sports, technology, science, cooking and performing arts weekly. They work with experienced staff on innovative projects, hands-on experiments and guided discovery of the natural and technological world. They participate in fun, educational and recreational off-site field trips planned throughout the summer. Our senior campers work with experienced staff on innovative projects, hands-on experiments and group and individual projects related to the components of the natural and technological world. They participate in fun, educational and recreational off-site field trips planned throughout the summer. We offer early or late session supervised care to all our campers as an option to extend their typical day. Ask us about our convenient lunch program. Though out the week fun after- camp activities are planned for the campers who want an extended experience, in addition to the already fun environment. Robotics, Martial Arts, Ballet, Zumba and Cooking are some of the activities campers can enjoy in our after -camp program. Welcome campers! We will be kicking off our summer adventures by looking at who we are and how we fit into the world around us. Crackle, hiss pop! This week we light up the sky and discover how light works. From flashlights to fireworks, we use light in our life daily. We will do experiments with shadows and light waves as we discover how big a role light plays in our lives. Bump, crash, thump! Digging deep down in the earth we will uncover rocks, tectonic plates, earthquakes, volcanoes and so much more. Howl, Roar, Swoosh as we fly into our fourth week at camp on the wind. This week we will discover what makes wind and how we can use it in our daily lives. Babble, splash, drip! Jump in, the water’s fine! What is water? Campers will explore the different properties of water and work on different bodies of water in our world in a hands-on Montessori setting. Up, up, and away! We blast off into the week exploring the world beyond! From the planets to the most recent space explorations we will cover the great beyond. This world was made for you and me. Let’s all work together to make this world a beautiful place to live. Connecting with nature, campers will explore and learn what Connecticut’s natural environment has to offer. What’s your talent? To conclude our summer of fun we will have a carnival day and celebrate all our talented campers with a talent show. We will enjoy ice cream treats while celebrating our time together. All field trips are tentative, Field trip Sign-up forms will be available in May.